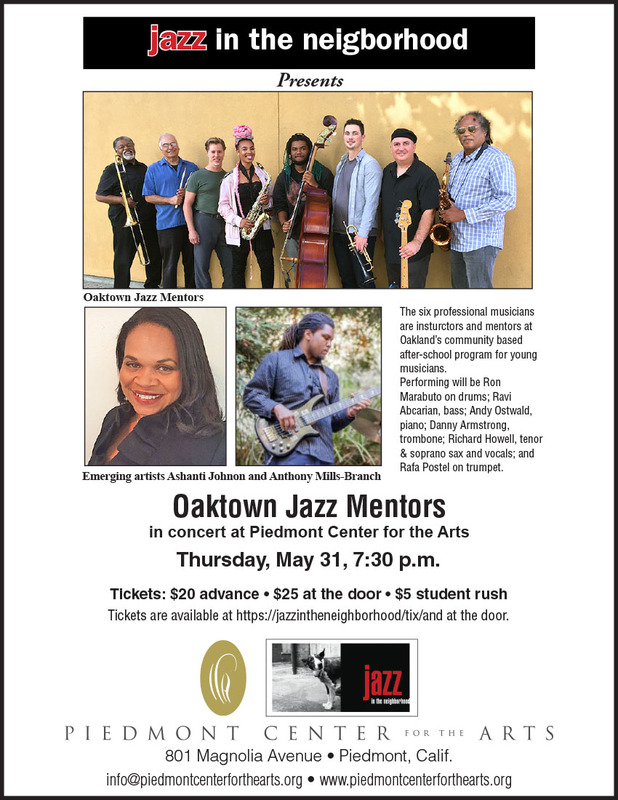 Arts will feature Oaktown Jazz Mentors on Thursday, May 31, at 7:30 p.m.
members of the Bay Area music scene. including Horace Silver, Thelonious Monk and Wayne Shorter. Branch on alto sax and bass. Tickets are $20 on advance and $25 on the day of the day of the show. $5 student rush.